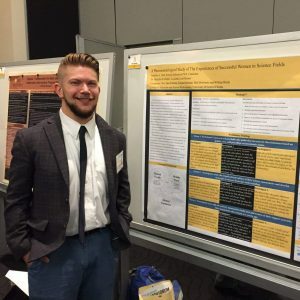 Dr. Jonathan L. Hall is a postdoctoral research associate of science education in the Department of Curriculum and Instruction in the Neag School of Education at the University of Connecticut. Currently, he enjoys teaching masters students in a STEM seminar and working on research associated with the NIC. Through strong collaborations, he continues to conduct research and is active in programs that are focused on social justice in STEM. This work is highlighted by the following: a published article in Science Scope; recent completion of his dissertation titled, A Phenomenological Study of the Experiences of Successful Women in Science Fields; and starting an ongoing program called Women in STEM: Aim Higher at the University of Central Florida. Prior to earning his Ph.D. at the University of Central Florida, he taught high school science in urban and rural settings. He has also facilitated in-home science and math lessons for foster students. For Jonathan, these experiences have served as motivation to be active in research and programs to broaden successful pathways in STEM.